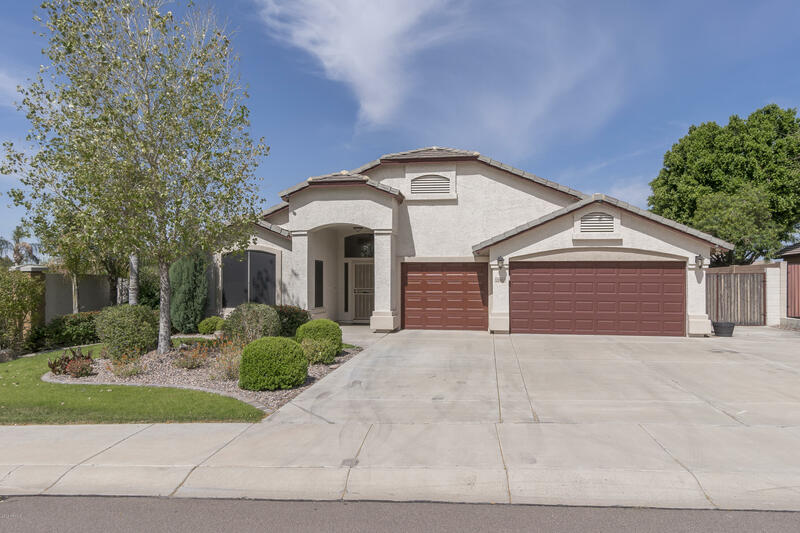 All IRONWOOD PHASE 1B homes currently listed for sale in Peoria as of 04/23/2019 are shown below. You can change the search criteria at any time by pressing the 'Change Search' button below. "Amazing move in ready home! 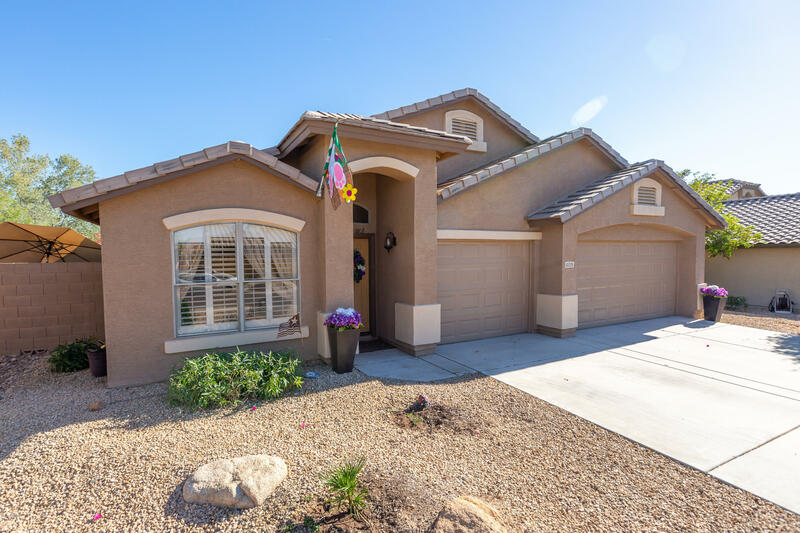 This 3 bedroom 2 bathroom plus a Den is a must see! Spacious family room. Generous sized masterbedroom with own exit to backyard. An elegant living area with vaulted ceilings greets you. Travertine flooring throughout all of the livingareas. The kitchen features gleaming stainless appliances, ample cabinets and pantry for storage, and an island with breakfast bar seating.The master bedroom includes a walk-in closet and ensuite bath, with a private toilet room, dual si"
"THIS AMAZING HOME in the Ironwood Community is located at the corner of the Ironwood Community Park, and a short drive from grocery, shopping, and casual dining options. An elegant living area with vaulted ceilings greets you, leading to the family room, which offers a corner fireplace and views of the sparkling pool. The kitchen features gleaming stainless appliances, ample cabinets and pantry for storage, and an island with breakfast bar seating. The master bedroom includes a walk-in closet an"